At just 17, former Perth and Melbourne resident Nick D’Aloisio is now one of the world’s youngest self-made multimillionaires, after tech giant Yahoo acquired his firm for a reported $28.7 million. His technology Summly aims to change the way we read emails, news articles or any other text on our computers and smartphones by using algorithms to summarise text in under 400 characters. I like shoes, I will buy a new pair of Nike trainers and I’ll probably get a new computer but at the moment I just want to save and bank it. I don’t have many living expenses. Yahoo did not disclose the terms of the deal, but The Wall Street Journal‘s AllThingsD blog said Yahoo would pay $US30 million ($28.7 million), mostly in cash, with 10 per cent in stock. 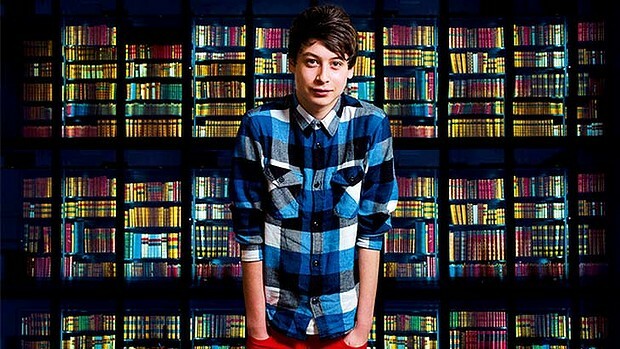 Summly founder Nick D’Aloisio, 17. Before the Yahoo deal, D’Aloisio received a collective $US1.5 million in investment funds from people including celebrities Ashton Kutcher and Stephen Fry and billionaire Li Ka-shing. Speaking from his family home in London, where he has lived since leaving Australia when he was seven, D’Aloisio said he was excited about the deal with Yahoo, believing it would help assist in developing the Summly technology further and integrating it with Yahoo’s offerings. His technology summarises text using algorithmic technologies, allowing for simplified dot point summaries of anything on the web such as search results. It has many uses and could even be used to summarise emails, social networking posts and product descriptions. 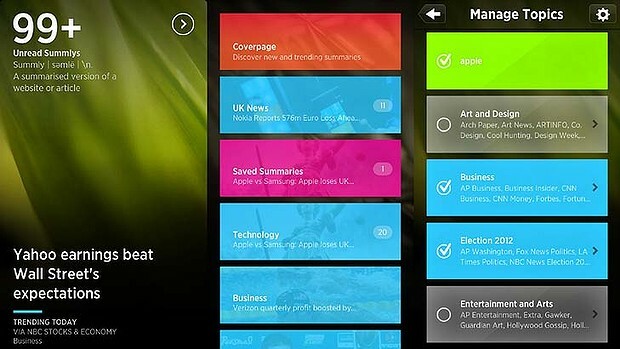 The deal with Yahoo will see his company’s iPhone app Summly shut down. D’Aloisio said the app had been downloaded almost 1 million times in the past five months and generated about 90 million summaries. While active it received Apple’s Best Apps of 2012 award for Intuitive Touch and had a contract to display content from News Corp publications. The purchase has led some in the media to question why Yahoo would want to acquire the technology. Technology news website Wired suggested it was so that Yahoo could be cool again. 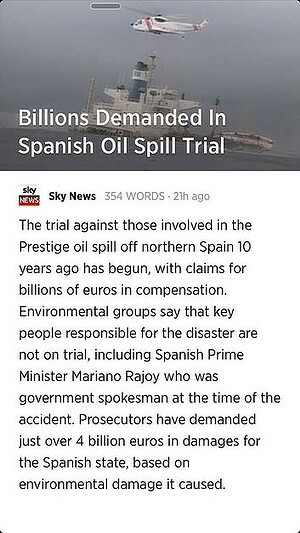 The Summly app summarised online news articles in under 400 characters. D’Aloisio said it was “technically true” that he was now a millionaire after sealing the Yahoo deal, but added that he had no immediate plans to do anything with the money. “Obviously the money is going to be in a fund and I’ll work with my parents to save it,’ he said. “I’m just focused now on working for Yahoo and kind of taking everything to the next level. “I like shoes, I will buy a new pair of Nike trainers and I’ll probably get a new computer but at the moment I just want to save and bank it. I don’t have many living expenses,” he told the London Evening Standard. D’Aloisio told Fairfax Media last year that he began his journey with computers when he was eight, using Apple’s movie making software iMovie before progressing to the more professional video software Final Cut Pro. A lot of D’Aloisio’s coverage in the media has been positive, with some describing him as “telegenic” and a “wunderkind“. But the coverage wasn’t always so glowing. In 2011 an app writer for technology website Gizmodo, Casey Chan, published D’Aloisio’s Trimit app (now Summly) as “worst app of the week” after D’Aloisio bombarded his office with emails. “Over the course of a few days, D’Aloisio … barraged me with over a hundred emails about Trimit,” Chan said in a post entitled “How I made a 15-year-old app developer cry“. In a statement, Yahoo said it was excited to share that it was acquiring Summly and that D’Aloisio and a team would join the technology giant “in the coming weeks”. D’Aloisio will be based at Yahoo’s central London office. Yahoo said most articles and web pages were formatted for browsing with mouse clicks and that “the ability to skim them on a phone or a tablet can be a real challenge — we want easier ways to identify what’s important to us”. Former Google executive Marissa Mayer took over at Yahoo in July 2012 as part of efforts by the struggling internet search pioneer to reinvent itself. D’Aloisio said he was excited to be working with Mayer. “The thing that’s really exciting me about Yahoo is the fact that Marissa Mayer is now their CEO, who is a product person,” he said.